Solms, Germany (October 27, 2011) - Leica Camera AG expands the range of lenses for the Leica S-System with the new Leica Elmarit-S 30mm f/2.8 ASPH wide angle lens. With this latest addition, the portfolio of lenses for the professional S-System is now comprised of five focal lengths. 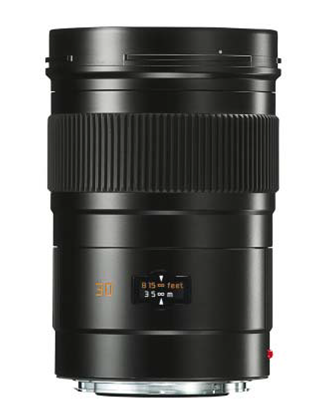 The fastest medium format lens in this focal length, the Leica Elmarit-S 30mm f/2.8 ASPH will be available beginning December 2011. The field of view of this new S-Lens corresponds to a 24mm lens in 35mm format and this wide angle of view opens up a multitude of new opportunities in creative composition, particularly in the fields of interior, architectural and landscape photography. Additionally, a fast maximum aperture of f/2.8 makes the Leica Elmarit-S 30mm f/2.8 ASPH ideal for available-light photography and the conscious use of selective planes of focus. 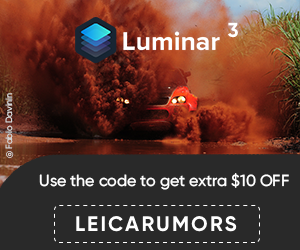 Thanks to outstanding imaging performance from close focus to infinity at all apertures and brilliant color rendition, the Leica Elmarit-S 30mm f/2.8 ASPH guarantees perfect results in a wide range of photographic situations. The highest priority in the development of all Leica S-Lenses is the dedication to creating tools that fulfill the stringent demands that professional photographers place on a camera system in their everyday work. 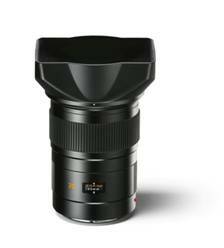 Even wide open, the Leica Elmarit-S 30mm f/2.8 ASPH fulfills these demands and offers high resolution and extremely low distortion throughout its entire focusing range. Software-driven image optimization is unnecessary with this lens, allowing photographers to concentrate purely on the creative side of their work. A further highlight of the Leica Elmarit-S 30mm f/2.8 ASPH is its excellent control of flare to ensure high-contrast images, even when shooting a backlit subject. The design and construction of the Leica Elmarit-S 30mm f/2.8 ASPH is tough, reliable and built to last a lifetime, a characteristic found in all Leica S-System products. The lens features an extremely robust bayonet mount and is fully sealed against dust and spray, ensuring absolute dependability even under the harshest shooting conditions. The Leica Elmarit-S 30mm f/2.8 ASPH will be available from authorized Leica dealers beginning December 2011. The lens is supplied complete with a rectangular hood designed for optimum suppression of extraneous light. For further product information please consult the Leica Homepage at www.leica-camera.com and www.S-League.net. Popflash is currently taking pre-orders.